Jared Graham Chase is a professional conductor, trumpet performer, and associate professor of music on the faculty at Nazareth College in Rochester, NY. He has extensive experience conducting bands, orchestras, and choirs throughout the United States and Canada. At Nazareth College, Dr. Chase is the Director of Wind Studies. Since arriving at Nazareth in 2012 the program has doubled in size and includes the Wind Symphony, Symphonic Band, Pep Band, Chamber Winds, Brass Choir, Saxophone Ensemble, and Jazz Ensembles. Part of this growth includes the development of the Jane and Laurence Glazer Music Performance Center (550-seat performance hall and education center to open in spring 2018) the new home for musical performances at Nazareth College. Dr. Chase conducts the Wind Symphony and Chamber Winds, teaches courses in conducting, rehearsal techniques, and music education, as well as performs in the Wilmot Brass Quintet. Under his direction, the Nazareth College Wind Symphony has been invited to perform at the College Band Directors National Association (CBDNA) Eastern Division, New York State School Music Association (NYSSMA), and New York State Band Director’s Association (NYSBDA) conferences. In the fall of 2013 he was named a Visiting Assistant Professor of Ensembles and Conducting at the prestigious Eastman School of Music where he conducted the Eastman Wind Ensemble and Wind Orchestra. He is the founding director of the Rochester Chamber Winds, a group of professional musicians on faculty at Nazareth College, the Eastman School of Music and members of the Rochester Philharmonic Orchestra. 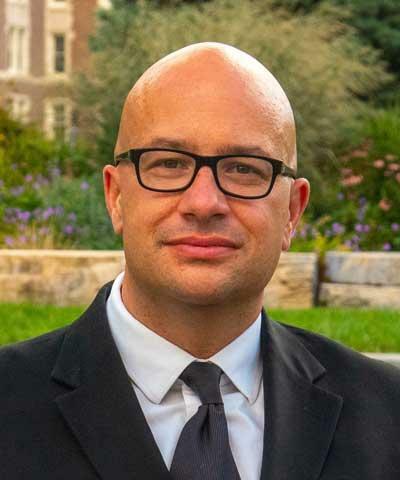 Dr. Chase received degrees in music education and trumpet performance from the University of Colorado, Boulder where he studied trumpet with Terry Sawchuk and conducting with Allan McMurray and Robert Carnochan. He received his Master of Music in trumpet performance and Doctorate of Musical Arts in wind conducting from the University of Cincinnati College-Conservatory of Music (CCM). At CCM he studied wind conducting with Terence Milligan and Rodney Winther as well as choral conducting with Steven Coker and Brett Scott. His trumpet studies were with Alan Siebert, Kim Pensyl, and Phil Collins. While at CCM, he also served as music director of the Cincinnati Youth Wind Ensemble, and music director of First Presbyterian Church of Fort Thomas, Kentucky. He founded the Seven Hills Brass (a professional brass ensemble) which was invited to perform for the opening ceremony of the 14th International WASBE (World Association of Symphonic Bands and Ensembles) Conference in 2009 and still performs concerts around Cincinnati, OH. As a trumpeter he continues to be an active freelance performer and has performed with the Rochester Chamber Orchestra, Dayton Philharmonic Orchestra, Springfield Symphony, Blue Ash Symphony, Kentucky Symphony, Lima Symphony Orchestra, Richmond Symphony Orchestra, Salina Symphony, Hutchinson Symphony, Cincinnati Vocal Arts Ensemble, the Bach Society of Dayton, Boulder Broadway Company, Colorado Light Opera, and the Boulder Dinner Theater. While attending CCM he performed as principal trumpet of the nationally acclaimed CCM Chamber Players, the CCM Wind Symphony, Philharmonia Orchestra and as a member of the Cincinnati Brass Quintet. Dr. Chase has taught courses at the Eastman School of Music, Cincinnati College-Conservatory of Music, Bethany College, Sinclair Community College, Central State University and grades 4-12 band and choir in the public schools of Ohio. As a passionate and committed music educator he is in regular demand as a guest conductor for honor bands, adjudicator for festivals, and clinicians for bands of all ages throughout the country and Canada. University of Cincinnati College-Conservatory of Music– D.M.A., M.M. University of Colorado, Boulder– B.ME, B.M.